– My iPhone 5S is not showing up as a device in iTunes when it is plugged into my computer. How do I fix this? – My iPhone 6, when I plug it into my computer, it will charge but won’t show up in “Computer” or connect to iTunes. This has never happened before. Please help! 1.Check the USB connections: Check each connection to make sure the cable is fully plugged into your device and the computer. 2.Check the USB cable: Verify that the 30-pin to USB cable or lightning Connector to USB cable is free of debris and not damaged. If another cable is available, test with that cable instead. 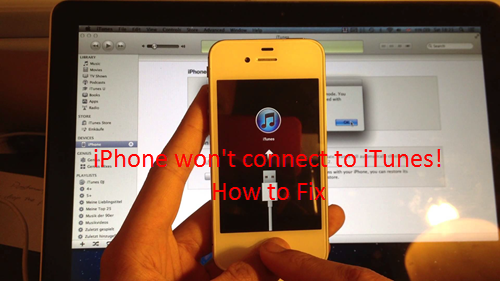 3.Restart iOS device and computer: Restart your PC/Mac computer and your iOS device, then try connecting again. 4.Make sure the computer is using a compatible OS: The Windows version of iTunes requires Windows 7, Vista, or XP. The Mac version of iTunes requires OSX 10.5.8 or later. 5.Make sure you are using the latest version of iTunes: Launch iTunes, click “Help” and select “Check for Updates” and allow any available updates to install. Download and update. 6.Make sure your iOS device trusts your computer: You might get an alert if your haven’t connected your iOS device to this computer before. Unlock your device and tap Trust. 7.Make sure the Apple Mobile Device Support and Apple Mobile Device USB Driver is installed. This step is for Windows users only. Tip 1: If you’ve tried all the above mentioned ways and still have problems with connecting your iPhone or iPad to iTunes, visit Apple Support or contact Apple directly to find a solution. Tip 2: If you’re tired of iTunes connecting errors and do not want to use iTunes on the PC by any means, we recommend you a great iTunes alternative – CopyTrans Manager. 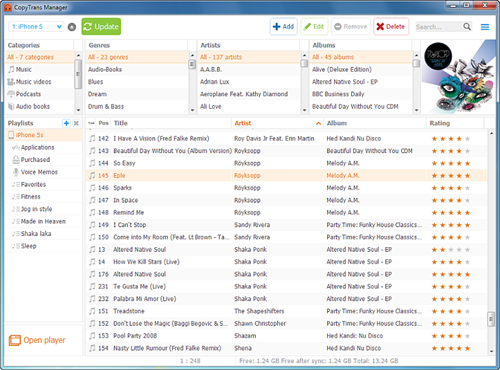 It is completely free and offers easy solution to transfer music, videos, apps, playlists, etc from iPhone, iPad and iPod to PC.